You can’t turn anywhere without hearing about Making Tax Digital (MTD). What you can also find is a lot if hearsay. In this blog we will try and cut through some of the myths and give you some clarity. Not so. If you are a VAT registered organisation with a turnover above the VAT registration threshold (£85,000 in 2018/19 tax year) you will required to keep digital VAT business records and send returns using MTD compatible software, or have an agent do so on your behalf. Most businesses will need to do this for VAT periods starting on or after 1 April 2019. From April 2020, at the earliest, MTD will come into effect for income tax and corporation tax. MTD for VAT may also be extended to all VAT registered businesses. This is subject to change as of early 2019. 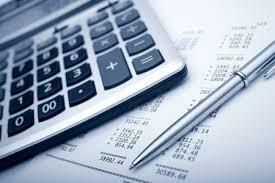 Keep in touch with Spectrum Accountancy Solutions for the latest position. Not more records, but you must record and send them digitally. If you already use software to keep your business records, check with Spectrum for guidance on the most appropriate software for your business. If you use a spreadsheet to record all your transactions then the spreadsheet needs to be API enabled so that the VAT return data can be submitted directly from the spreadsheet to HMRC, or digitally linked to software which can do that, either directly or via Spectrum Accountancy Solutions. A ministerial statement in July 2017 stated that ‘The Government will not widen the scope of MTD beyond VAT before the system has been shown to work well, and not before April 2020 at the earliest.’ This means that the situation is still fluid and with the Brexit still taking much of the Government’s time and attention there could well be further alterations to the schedule. With everything from a Google search to the HMRC’s own Mythbuster only adding to the confusion the statement above is the last word for the moment. To learn more about how and when MTD will apply to you business get in touch with Spectrum Accountancy Solutions.